I’ve always been a bit of a petrol-head. But since the ominous cloud of climate-change edged over the horizon back in the 90s, my enthusiasm for the growl of freshly-throttled V8 has been tarnished by a nagging sensation of eco-guilt. Fortunate then, that my recent purchase of a nippy and cheap-to-run all-electric vehicle (EV) not only rebalanced my conscience, but also gave me a whole new obsession: sustainable transport. So, imagine my excitement when one of Amberjack’s clients (Colas) revealed a truly ingenious green technology developed by their R&D team in France, and already in use at test sites in the UK. Wattway is the world’s first solar road. 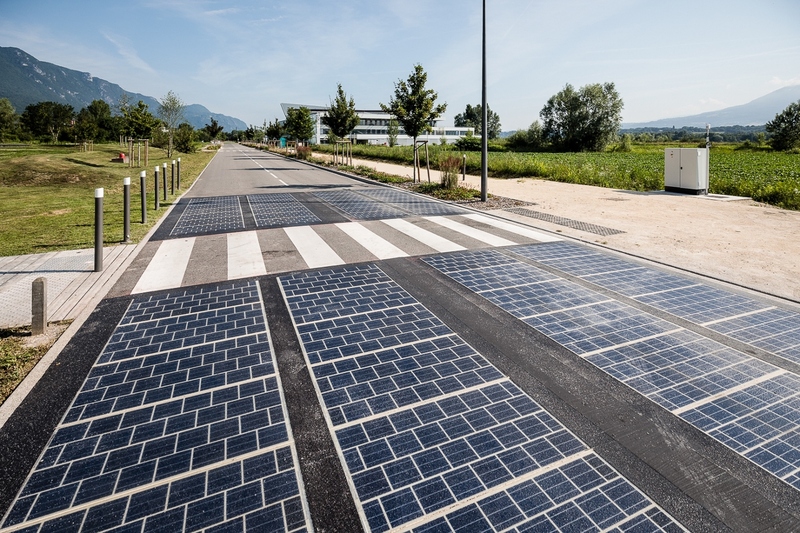 Photovoltaic cells built into the road surface convert energy from the sun into electricity for powering road signs, street lighting and even roadside charging points for electric vehicles. The metrics are impressive. Just 20 square metres of roadway generate the electricity to power a domestic household. Even more impressively, a single kilometre of Wattway outputs enough charge to power the street lights for an entire town of 5000 people. This is where the arithmetic gets interesting. There are over 400,000 km of roads crisscrossing the UK alone. With carriageways remaining vehicle-free for an average 90% of the time, our existing road network could provide a huge acreage of sky-facing solar panels and a significant contribution to our national mix of green energy. With the planet’s appetite for electricity set to double by 2050, forward-thinking technologies like Wattway could help to step-up power generation without destroying our precious environment. Hats off to the clever people at Colas. Thanks to them, it’s not just the new generation of EVs that are helping to save the planet, it’s the roads we’re driving on too.